Traditionally, the war on cancer has been waged from the outside in, with therapies such as surgery, radiation, and drugs entering the body from external sources. For more than 100 years, however, a notion has persisted that the most formidable tool against cancer may come from within: the immune system. The immune system is the body’s defense against disease, but for decades, science’s attempts to use it against cancer have largely fallen short. Today, however, as researchers begin to understand the intricate thrust-and-parry of the immune system’s relationship with cancer, it has become possible to intervene in a way that gives the immune system the upper hand. 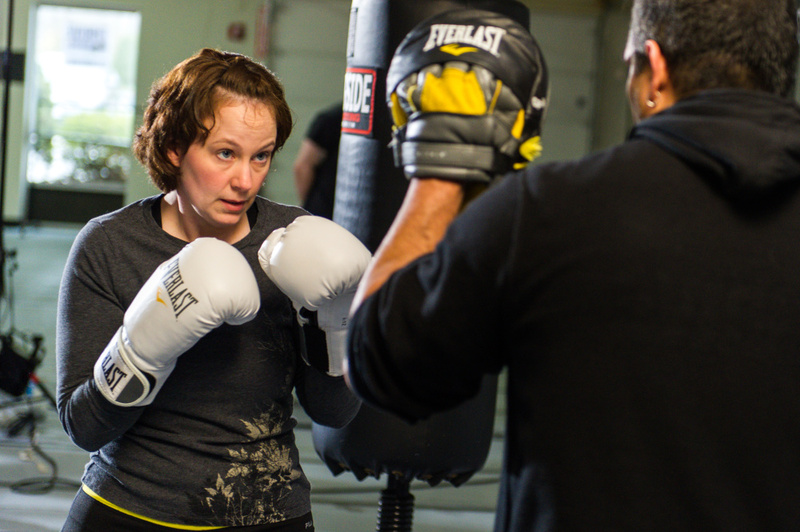 Immunotherapy brings a one-two punch to women’s cancers for patients like Stacey Carroll. The success of a new generation of immune-based therapies has turned skeptics into believers. Melanoma has been driven into long remissions in many patients with an immunotherapy drug first tested by investigators at Dana-Farber. Many cancers, including lung and kidney cancer, have shown themselves vulnerable to immunotherapy agents in Dana-Farber-led clinical trials, as has Hodgkin lymphoma. Today at the Susan F. Smith Center for Women’s Cancers at Dana-Farber, investigators are testing the mettle of immunotherapy against breast and gynecologic tumors. Many new immunotherapy drugs are based on a key insight made by researchers at Dana-Farber and other institutions: Although immune-system cells often recognize cancer cells as dangerous and target them for destruction, many cancer cells carry proteins that ward off the immune cells’ attack. Drugs known as immune checkpoint inhibitors that blunt these proteins are the new stars of immunotherapy. There are sound biological reasons for believing that ovarian and other gynecologic cancers will prove susceptible to checkpoint inhibitors. Many such tumors have a high “neoantigen load,” meaning they carry proteins that advertise their cancerous nature to the immune system, which can prepare an attack against them. The right immunotherapy could provide an opening for an attack to succeed. Like most cancers, ovarian cancer comes in several subtypes. The effectiveness of an immunotherapy agent may depend on which subtype it is used for. Matulonis is leading the North American arm of an international trial of the immunotherapy drug pembrolizumab in women with recurrent ovarian cancer. The trial will help determine whether the drug works best if patients have had few previous treatments or many, and whether it’s more effective against platinum-sensitive or platinum-resistant tumors. Joyce Liu, MD, MPH, combines immunotherapies with other drugs. So far, immunotherapies have scored only modest success in small, early-stage trials where they’ve been used as solo treatments for ovarian cancer. As a result, many of the newer trials combine immunotherapies with other types of drugs. In one study involving patients with ovarian cancer resistant to platinum chemotherapy, investigators are teaming the checkpoint-inhibitor drug nivolumab with bevacizumab, a medication that chokes off tumor blood supply. Panos Konstantinopoulos, MD, PhD, has opened a phase 1 study of the immune checkpoint inhibitor pembrolizumab, niraparib, and a drug that prevents cancer cells from repairing damaged DNA. The combination may spur the formation of more neoantigens, further stimulating an immune response. Immunotherapy is already proving to be a promising approach in breast cancer. “Over the past several years, our view of immunotherapy for breast cancer has evolved,” says Eric Winer, MD, director of Breast Oncology for the Susan F. Smith Center. “Today this appears to be one of the most promising treatment approaches, particularly for patients who have the most aggressive tumors.” Triple-negative breast cancer (which lacks three key growth receptors) is a prime target for immunotherapy because it tends to have a relatively high degree of DNA instability and frequently expresses immune-suppressing proteins. Investigators at the Susan F. Smith Center have helped lead a study of immune checkpoint inhibitors in patients with triple-negative breast cancer. Ian Krop, MD, PhD, director of Breast Clinical Research at the Susan F. Smith Center, was senior investigator for a study showing that the checkpoint inhibitor atezolizumab could prevent the growth of triple-negative cancers for well over a year in some patients. Winer has led several studies of pembrolizumab, including an ongoing international study that could lead to FDA approval of this drug for triple-negative breast cancer. While the results from the use of checkpoint inhibitors in triple-negative breast cancer looks encouraging, other investigators are exploring the effectiveness of these agents against hormone-driven breast cancers. This is the most common type of breast cancer, but also the least likely to provoke an attack from the immune system. Sara Tolaney, MD, MPH (left), Margaret Haldoupis, RN, and Ian Krop, MD, PhD, plan clinical trials that will test immunotherapy for breast cancer. A second trial will compare the effect of chemotherapy and pembrolizumab to that of chemotherapy alone in patients with metastatic, hormone-sensitive breast cancer. A third will examine the value of radiation therapy in combination with pembrolizumab in patients with hormone-sensitive breast cancer. The hypothesis here is that radiation leads to cell death, which may stimulate an immune response to the tumor. Still another trial will focus on a tandem of pembrolizumab and T-DM1 (a conjugate drug that fuses chemotherapy with tumor-targeting antibody) in patients whose breast cancer carries the HER2 protein receptor. Additional immunotherapy projects will be aided by a recent $1 million gift from the Carney Foundation. For all the promise of checkpoint inhibitors, they represent just one of many ways the immune system may be mobilized to fight cancer. As Kai Wucherpfennig, MD, PhD, chair of Dana-Farber’s department of Cancer Immunology and Virology, notes, the immune system consists of an array of specialized cells and proteins, many of which have anti-cancer potential.